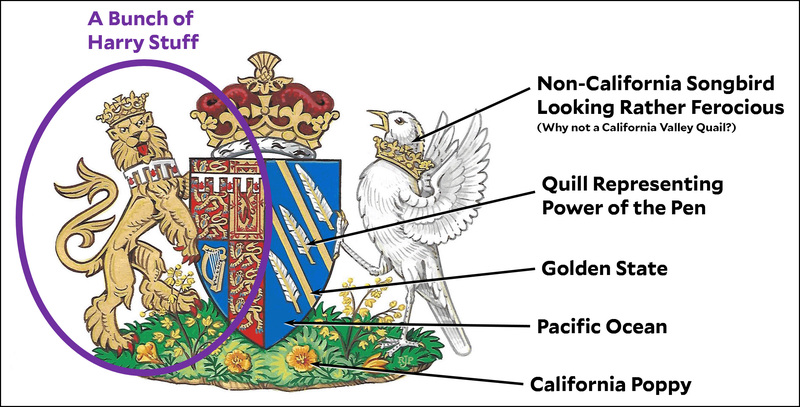 I disappointed my sister by being unable to find an excuse last weekend to blog about the royal wedding, so I’m going to make up for it today by blogging about the new coat of arms for the Duchess of California Sussex, aka Meghan Markle. As you can see, it’s chock full of California symbolism. Once again, California leads the nation in mocking Donald Trump, who will never have a real coat of arms of his own.